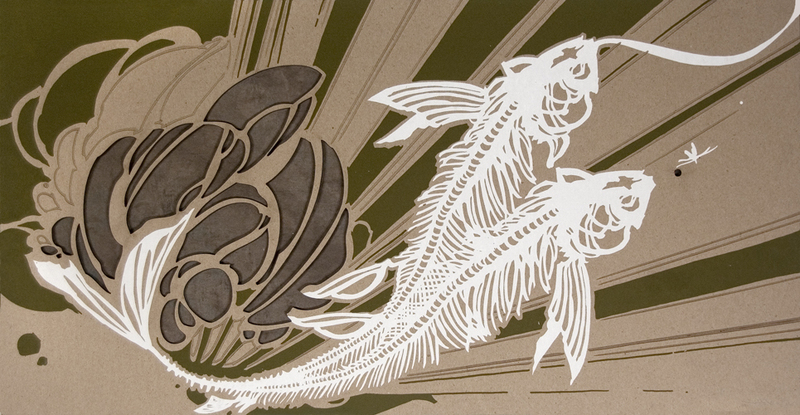 2 Color Laser-etched Screenprint, Printed on Archival Chipboard with Dyed Newsprint. Dimensions: 12 x 23 Inches. This new Swoon print uses laser etchings and cuts into a chipboard base to compliment the more traditional techniques used in our other prints. Top that off with a sheet of hand dyed newsprint as a backdrop and the result is a truly unique and beautiful piece.